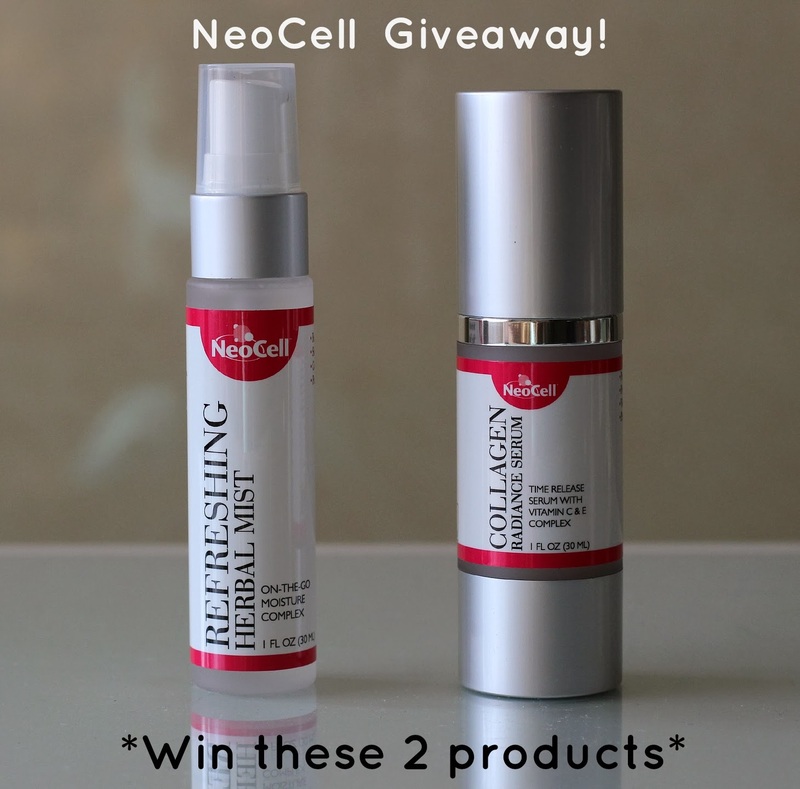 NeoCell Refreshing Herbal Mist and Collagen Radiance Serum | Review + GIVEAWAY! I have been getting more into natural skin care and makeup lately, and I seem to not be the only one to have been going that route! I have been seeing so many blog reviews going around featuring brands that offer chemical-free products, and it has just been feeding my desire to try different natural beauty brands. After doing a bit of research, I was astounded by the amount of companies that offer all natural products, one of them being NeoCell. I had previously heard many good things on their products, and so you can imagine how excited I was to receive both their NeoCell Refreshing Herbal Mist* and Collagen Radiance Serum*. Now this post gets even better - one reader will win both of these products - so keep on reading to learn how you could be the lucky winner! 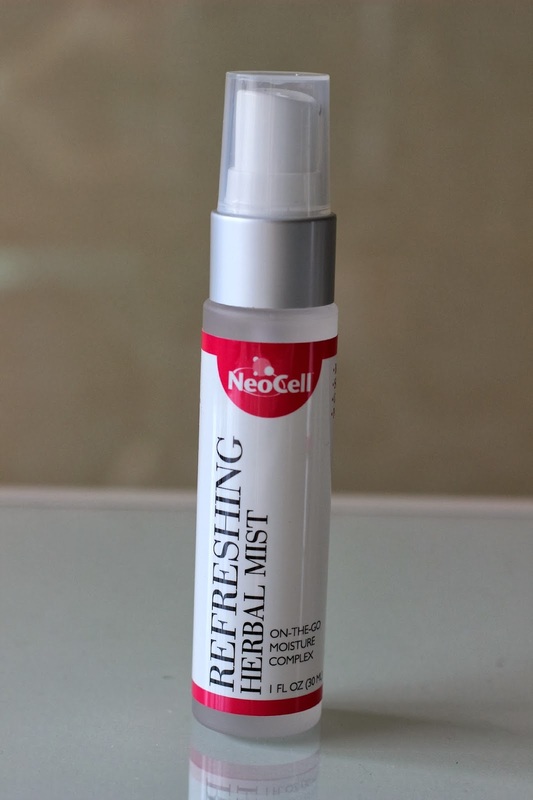 The NeoCell Refreshing Herbal Mist is such a wonderful product to have. It instantly brings back hydration to the skin, and can be used on a bare face or even on top of makeup as a setting spray. Not only can it be used on the face, but it can even be sprayed over your hair! If ever my skin is feeling dry, I just whip this little gem out and give my face a quick spray, and I am left with soothed, glowing skin. This will also be great to use in the summer as the dispenser sprays a fine mist out that is incredibly cooling, not to mention that the scent is just so fresh and invigorating! This mist leaves a layer of collagen on the skin, so it also has rejuvenating properties. 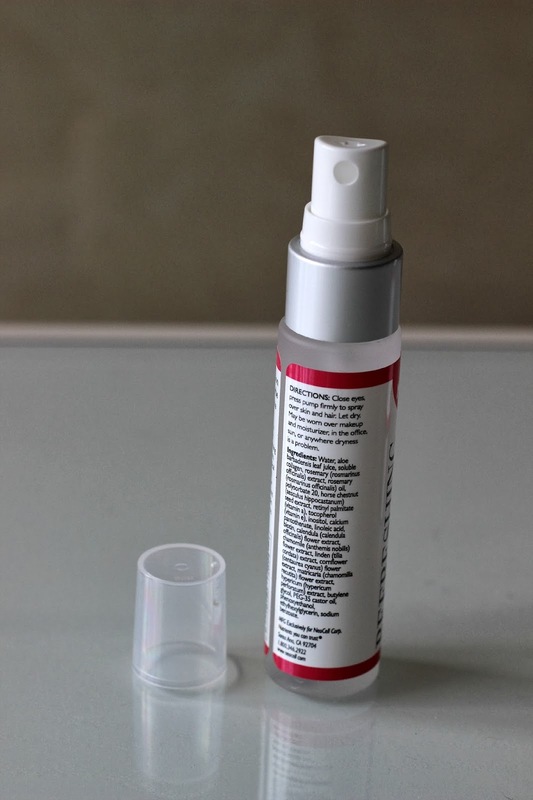 In terms of ingredients, this mist contains all natural ingredients, including: aloe leaf juice, rosemary extract and oil, horse chestnut seed extract, vitamins A and E, biotin, calendula flower extract, chamomile flower extract, cornflower flower extract, and castor oil, just to name a few. It contains no harmful chemicals or artificial fragrances and is oil and lanolin free. I absolutely love it! 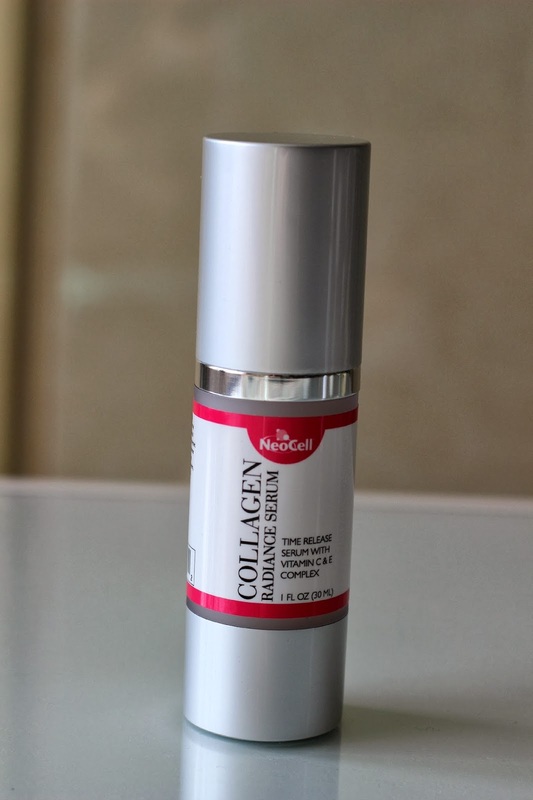 Next up, the NeoCell Collagen Radiance Serum, which has quickly become a must for me as well. This serum is great to use morning and night on a cleansed face. I simply apply a couple of pumps into the palm of my hands and apply it all over my face and neck. I really like that it comes with a pump dispenser and that I can control how much product comes out. Containing collagen, this product also boasts rejuvenating properties, and its potent antioxidant protects the skin against environmental harm.This is done through the release of micro-capsules that get absorbed by the skin and act quickly to bring back moisture and enhance the skin's firmness and elasticity. 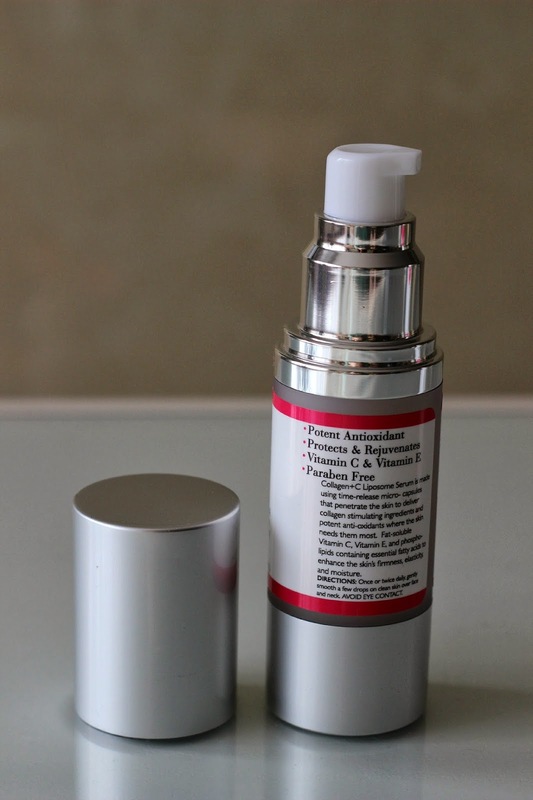 This serum is made of all natural ingredients, including: vitamins C and E, phospholipids, ascorbyl palmitate, and amino acids tyrosine, proline, and cysteine. I love that this product is paraben free and instantly brings radiance to the skin. It also has a very light scent, just like the Refreshing Herbal Mist. I have been using it consistently over the last week and have been loving the results! Both of these products are sold exclusively on iHerb.com, and as you can see from the reviews on their website, they are very popular and highly rated. Not only that, but they are so inexpensive! The Refreshing Herbal Mist (30 ml) only costs $7.17, while the Collagen Radiance Serum (30 ml) goes for $15.47. Furthermore, with coupon code FFM227, you can also save $10 if you spend over $40, or $5 if you spend less. iHerb.com also offers free shipping on all orders over $20 in the U.S. and a flat $4 shipping rate on all international orders. I have ordered from iHerb.com a few times, and they offer outstanding customer service. Also, when ordering make sure to click on the "Freebies" link at the top of their web page to pick a free deluxe sample from their large selection of lips balms, moisturizing socks, face masks, beauty supplements, health books, and more! Now for the fun part - NeoCell would like to hook one of my reader's up with both of these products! This giveaway is open to Canadian and U.S. residents only (sorry to all of my transcontinental readers - I am currently hosting another giveaway that is international, so make sure to enter HERE). All you need to do to enter this giveaway is fill out the Rafflecopter widget below: the first 5 entries are mandatory, and once those are completed, more entries will be unlocked allowing you to increase your chances of winning. *Disclaimer: These products were kindly sent to me and have been reviewed in accordance with my Disclosure Policy. I'd be excited to win the Herbal Mist for my dry skin! I am most excited to win the mist because I have such dry skin! Lovely products, good luck to all!!! I am most excited about the NeoCell Refreshing Herbal Mist. Both look awesome! I'm most excited about this serum! Thanks for the review and giveaway. I am so interested in trying that facial spray now. Thanks for sharing! I have been into natural products and makeup too recently! I haven't heard of these products until now but they sound great! I would love to try the NeoCell Refreshing Herbal Mist! Thanks for the giveaway! I will share your site with my sister. She's a beautician and is always looking for cool new products to share with her clients. Found you through the wed link up. Following now with google +. I would be most excited to try the NeoCell Collagen Radiance Serum. The refreshing herbal mist sounds amazing! to…HaHa). You definitely put a fresh spin on a topic that's been discussed for decades.